The Hurricane was created at Pat O’Brien’s in the 1940’s. During that time, there was a huge surplus of rum coming from the Caribbean islands, while domestic liquor was scarce due to the war efforts. Bar owners had to purchase several cases of rum for every case of bourbon or Scotch. Trying to find a use for the rum, it was eventually mixed with passion fruit and poured into hurricane lamp–shaped glasses and given away to sailors. The drink caught on, and it has been a mainstay in the French Quarter ever since. Our take on the classic cocktail is a kettle soured ale that goes heavy on passion fruit with additions of cherry and pineapple. Fruity. Tart. 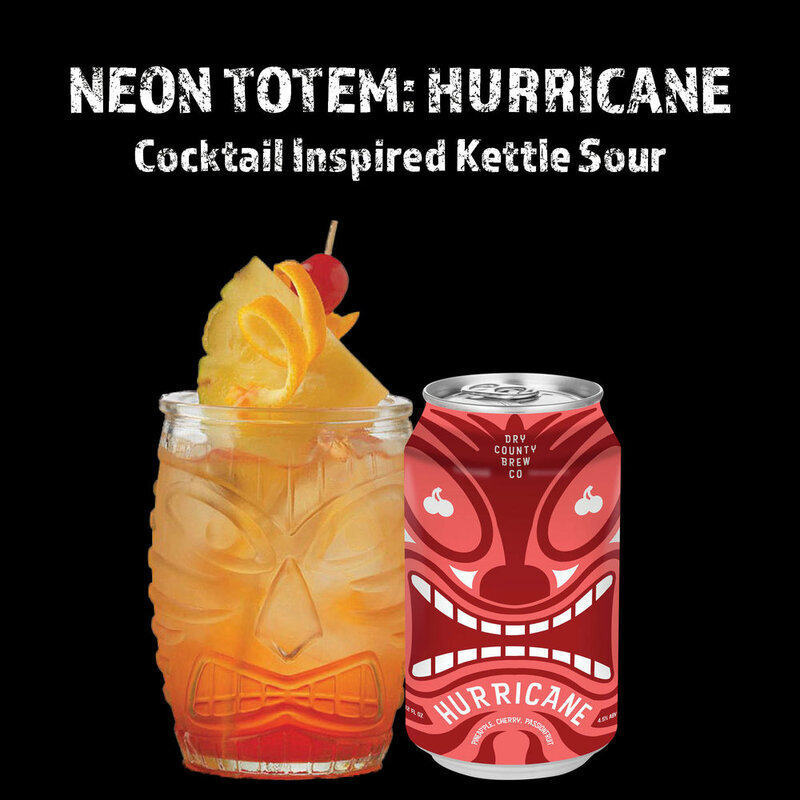 Refreshing.Get ready to start stacking Neon Totem: Hurricane cans as the weather warms!